A Magnitude 5.5 earthquake struck the south flank of Kīlauea Volcano on Hawaiʻi Island at 12:55 a.m. HST early Wednesday morning. The earthquake occurred at a depth of 7.0 km (4.3 miles) and was felt all across the Big Island. It was felt strongest in Volcano Village. 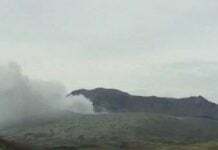 The Pacific Tsunami Warning Center, which said the earthquake struck “in the Hilina region of Kīlauea Volcano,” reported that no tsunami is expected after the event. 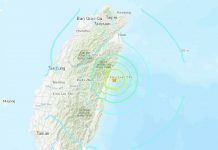 “However, some areas may have experienced strong shaking,” the PTWC said. According to USGS Hawaiian Volcano Observatory seismic network manager, Brian Shiro, significant damage to buildings or structures is not expected. 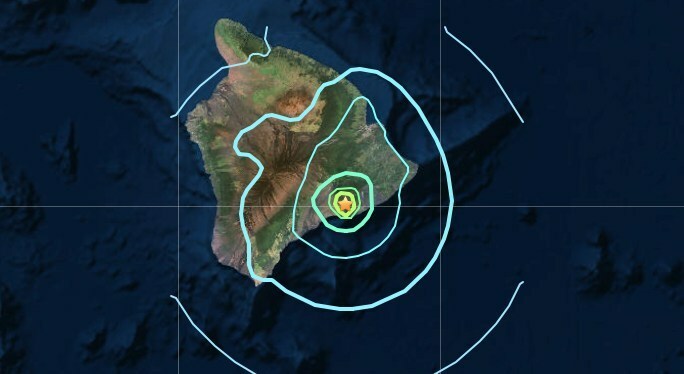 Shiro added, “We see no detectable changes in volcanic activity at the summit or along the rift zones of Kīlauea as a result of this earthquake. 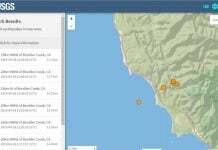 Aftershocks are possible and could be felt.” HVO continues to monitor Kīlauea and other Hawaiian volcanoes for any changes. The seismic waveform of the March 13, 2019 earthquake measured at the Volcano Golf Course by the USGS. If the earthquake was strongly felt in your area, precautionary checks should be made for any damages; especially to utility connections of gas, water, and electricity. Kilauea made headlines when it erupted last year, with lava flows from May to August destroying infrastructure and hundreds of homes. And this was not the first time the volcano met another force of nature. The eruption coincided with Hurricane Lane at the end of the summer and the pair altered the island’s landscape. But it doesn’t look like this earthquake will make it blow again! Home › Forums › Strong M5.5 earthquake hits close to Kilauea volcano, Hawaii – Will it wake up AGAIN? Reply To: Strong M5.5 earthquake hits close to Kilauea volcano, Hawaii – Will it wake up AGAIN?